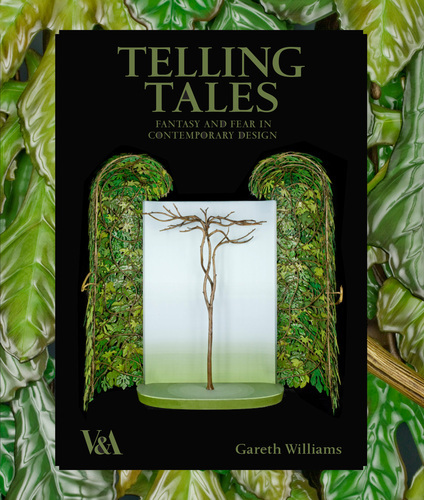 This sole-author monograph was published to accompany the V&A Museum exhibition of the same name (Williams REF Output 1). It comprises an introduction and three thematic essays, each of 5,000–6,000 words. In the Introduction, Williams considers how works of contemporary design can instantiate narrative, reflecting on the development of narrative itself, using theories of narratology from Walter Benjamin’s ‘The storyteller’ (1936), and the fields of semiotics and psychoanalysis. The historical fissure between fine art, craft and design, and the rise of so-called ‘design art’, are discussed with reference to artists Donald Judd, Jorge Pardo and Grayson Perry. The ‘aestheticization of everyday life’ (Featherstone 1991), the democratisation of high-end design for the mass market (Postrel 2003), values of connoisseurship applied to design works in the art market, postmodernism (Alessandro Mendini’s ‘Proust’ chair) and the rise of ‘designer-makers’ are all adduced as ‘design art’. The cultural and commercial uses of the term are discussed in this first essay to analyse and contextualise such design productions. Subsequent chapters follow the exhibition structure. Offering a new perspective on the history and criticism of contemporary design, Williams pursues an argument suggested by key phases in the development of narrative forms. ‘The forest glade’ considers contemporary pastoralism as reprising early narrative forms such as creation myths and fairy tales. ‘The enchanted castle’ turns to the Enlightenment and investigates historically inspired contemporary design in terms of 18th-century critiques of status display, notably those found in Hogarth’s painting and print cycles and in early novels. In ‘Heaven and hell’, perspectives drawn from Freudian psychoanalysis focus on interiority. Structured as a history of narrative theories, the book is illustrated by selected works from the exhibition, with 78 illustrations. The initial print-run of 3000 copies sold out before the end of the exhibition.